The history of interaction between Islam and Buddhism is a bloody one. Vajrayana Buddhism, originally from India, was forced over the Himalayas for survival after losing its battles with Islam in India. The stage is being set in the Shambhala myth when “two superpowers will then have control over the world and take to the field against one another. The Tibetans foresee a Third World War here” (Henss, 1985, p.19). 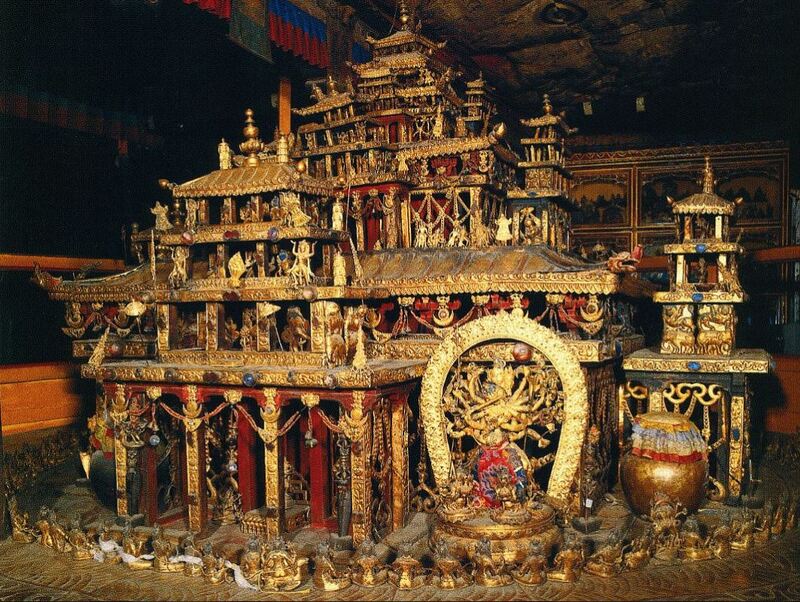 In the first chapter of the Kalachakra Tantra, the “false doctrines” that need to be battled are nominated. The Kalachakra nominates Enoch, Abraham and Moses among the Jews, then Jesus for the Christians, and a “white clothed one,”…Mani, the founder of ManichaeismThe secret text of the Kalachakra explicitly names the “leaders” of Judaism, Christianity and Islam as the opponents of Buddhism: “Adam, Enoch, Abraham, Moses, Jesus, Mani, Muhammad and the Mahdi” describing them as “the family of the demonic snakes” (Shri Kalachakra I. 154). The final, Armageddon-like battle (Shambhala war) ends in the total victory of the Buddhists. The official Kalachakra-Interpreter Alexander Berzin openly compares the principles of the Islamic “Jihad” with that of the Shambhala war. As in the Islamic martyr-ideology Shambhala-Warriors, who will be killed in the last battle have earned passage into the [Buddhist] paradise.. Excerpt from An Interview with Victor and Victoria Trimondi (Germany)by James C. Stephens, September 11, 2003. http://www.trimondi.de/EN/interv03.html. FEDERAL TRIANGLE. The area is known as the Federal Triangle which was designed and laid out by Frederick Law Olmstead, who was also the landscape architect for Central Park in New York and Stanford University in California. The District of Columbia is laid out “according to Egyptian pagan beliefs” in the shape of the Egyptian hieroglyph daleth, a triangle which Freemasons use to identify occult sites. It mirrors the constellation Sirius. In the Capitol Dome a pantheon of Greek Gods is prominently displayed where the Dalai Lama was awarded the Congressional Gold Medal. The obelisk, or Washington monument is but an ancient Egyptian phallic symbol whose construction was stopped for a season during the great Finney Revival. Dagon as you may recall was the fish god with the trunk of a fish and the head and hands of a human worshiped by the Philistines (I Chronicles 10:10). Many of the ceremonies of Baal worship are reminiscent of Tibetan tantric rites complete with female sexual consorts. EGYPT- TIBET CONNECTION. The occult writings of Jesuit Athanasius Kirchner (1602-1680) reveals in his research that ancient Egypt influenced the tantric culture of Tibet. Siegbert Hummel saw the “Land of Snows” as almost a reserve for Mediterranean traditions” and likewise nominated Egypt as the origin of the tradition of Tibetan mysteries. But it was the occultist (and founder of the Theosophical Society) Helena Blavatsky who saw the origins of both cultures as flowing from the same source. The two “supernatural secret societies”, who whispered the ideas to her were the “Brotherhood of Luxor” and the “Tibetan brotherhood.” (Trimondi: Shadow of the Dalai Lama pg. 131). Prayer: Reveal the hidden deeds of darkness in our nation, O YESHUA HA’MOSHIACH, KING OF KINGS. Reveal the hidden structures of corruption and the secret societies. May You raise up men and women of YHWH, like prophets and judges of old to combat the rise of darkness in our nation’s capitol. We ask for chastening and cleansing of the Congress and for righteous men and women to serve as our President, Vice President, Cabinet, Representatives, Senators, Judges, and Military leaders. We pray for a purging and outpouring of the convicting power of the HOLY SPIRIT on the Nation. THE WESTERN LAMA. Is it any coincidence that US President Barack H. Obama is supporting a war in Egypt? That he’s called “The Western Lama” by the Dalai Lama? By others in the Middle East, a King? That in “Batman Begins” a “supernatural secret society” out of the Himalayas is out to establish a new order of things by destroying the unredeemable Gotham City? That we presently are fighting a war in Afghanistan, where Greek magic came into contact with the teachings of tantric Buddhism. That out of the region of Swat, in Pakistan, Al Quaeda’s stronghold, Padmasambhava, the Tantric Tibetan Shaman launches out to Tibet where he conquers Tibet’s indigenous gods and converts it to Vajrayana Buddhism? That the hosts of the upcoming visit of the Dalai Lama to Chicago following the Kalachakra ceremony in Washington DC is the Theosophical Society, the White Buddhists? SYNCRETICISM. While attending the “Seventh International Conference on Christian-Buddhist Dialogue” at Loyola Marymount University in Los Angeles, I was troubled by the syncreticism that I witnessed between Roman Catholicism and Buddhism. While I initially expected that I would be mostly talking with Buddhists about the Gospel, I found myself in five or six conversations with Catholics who seemed to be making the pilgrimage to Buddhist thought and practice. They were intrigued why it was that I, a former Buddhist, left Buddhism for Christianity. The conclusion of the matter usually was, “A man cannot serve two masters.” They seemed to walk away sad. I wonder if they ever even knew the LORD Jesus? PRAYER: May those who call themselves followers of Jesus Christ, find themselves more and more devoted to our God and Savior Jesus Christ of Nazareth, Yeshua Ha’Moshiach and serve YHWH with all their heart, mind, soul and strength. MANDALA POLITICS. 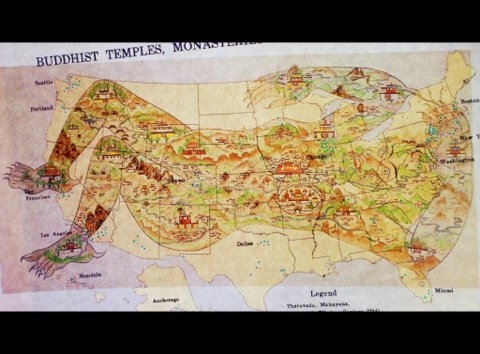 One talk on religion and politics focused upon “The Mandalization of Politics.” I recall hearing years ago of the discovery of a map of Tibet which showed how it was conquered through ritual magic events and when all the lines were assembled together it resembled a woman nailed down. Their attempts kept being thwarted to take over Tibet, until they subjugated a woman under the water. Finally, they were able to take Lhasa, the capitol of Tibet. 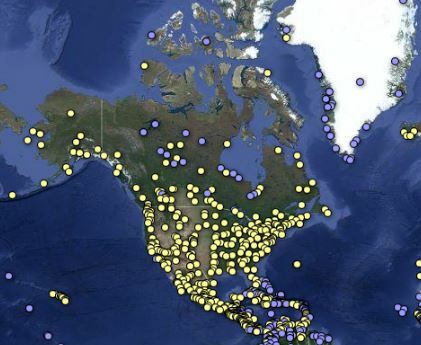 When I look at the map of Turtle Island (Canada, the United States of America, First Nations, and Mexico) dotted with all the mandala and vase locations, I wonder what the Tibetan shamans are seeing? Is the final victory lap for them in Washington, DC? And indeed the United States of America’s founding is a mixture of religious and philosophical elements that we must come to terms with as did the reformers, Luther and Calvin among others. It is not enough for us to go back to our “original foundations” but we must look to the Creator’s design and not transpose our designs onto this nation making Washington, D.C., the New Jerusalem. Indeed it is time for deep biblical self examination as new arrivals, god’s your fathers did not know have arrived. Religions that have their own designs for a nation which has albeit forgotten her Redeemer and LORD, Jesus Christ and turned to follow modern Balaams, who seduce her children to follow gods that are not gods and have exchanged the truth for a lie. All of us have sinned and fall short of the glory of God, there is none righteous, no not one. Every denomination has allowed leaven into it’s doors, Methodist churches allowing sand mandalas to be built in their sanctuaries, Presbyterian churches hosting Buddhist blood relic tours, Congregational church pastors taking a Buddhist vow and likening themselves to Martin Luther, Episcopal Churches having sand mandalas built in their sanctuaries, opening the door to everyone, Christian universities such as BIOLA University, adopting Buddhist mindfulness meditation in their schools, ad nauseum. YHWH has given over the nation to its own devices as it has rejected His rule. We have again fallen for the old seditious lies of Marcion and Erastus and now worship a god of our own imaginations. 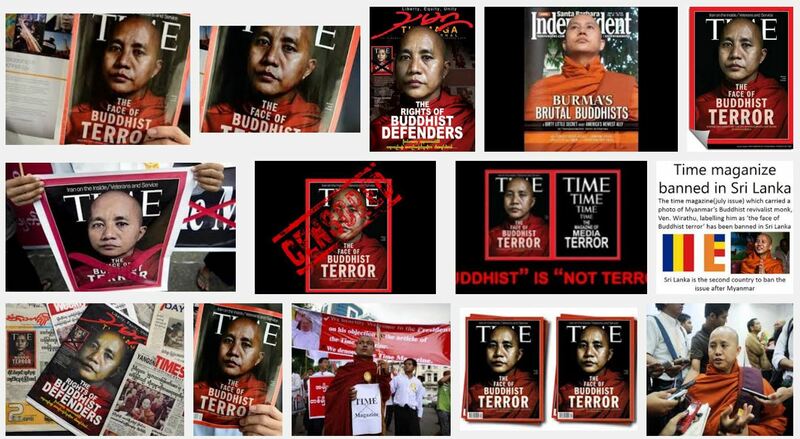 A greater danger is upon us than Tibetan Buddhism and Islam. We have fallen. As Daniel wrote, “As it is written in the law of Moses, all this calamity has come on us; yet we have not sought the favor of the LORD our God by turning from our iniquity and giving attention to Thy truth. Therefore, the LORD has kept the calamity in store and brought it on us; for the LORD our God is righteous with respect to all His deeds which He has done, but we have not obeyed His voice.” (Daniel 9:13-14). Although this was a message directed to the Jews, it is one we do well to heed deeply and without delay. He also addressed the falsehood of Freemasonry, a secret religious and fraternal order. The Mason, “Manley Hall wrote that a Mason’s religion ‘Must be universal: Christ, Buddha or Mohammed, the name means little for he recognizes only the light and not the bearer.” However, “Roman Catholics, Assemblies of God, and Presbyterian Church of America, and Missouri Synod Lutherans, have said membership in a Masonic Lodge is incompatible with the Christian faith”, but many have changed their tune and are now freemasons and members of other secret societies which must be renounced. The Southern Baptists have refused to admit to this. “Preacher’s during the First and Second Great Awakening condemned it (Freemasonry)” along with the famous evangelist Charles Finney who openly opposed freemasonry.” Last month, one member of the First Baptist Church of Dallas told me that their library would not even allow anti-Freemason materials. How far we’ve fallen. While we do believe in religious liberty, do we not hold to a separation of Church and State? 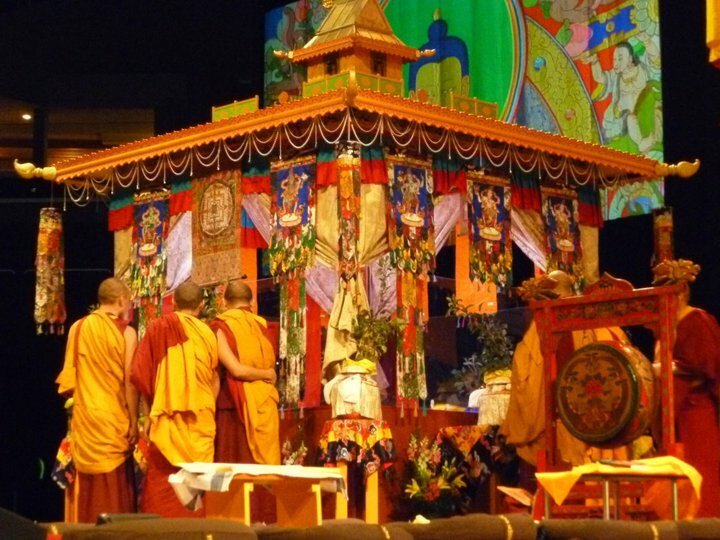 The Supreme Court ruled against prayer in public arenas just weeks before, but here was an event paid for by millions of American tax dollars which featured burning incense, prayer wheels, spiritual sand paintings, prayer monuments, and public Tibetan prayer by the spiritual head of the entire Tibetan Buddhist world. While, they have a right to assemble as did the Nation of Islam, Promise Keepers and others, but one former State Supreme Court Justice questioned their right to have major public financial backing for a spiritual gathering on the National Mall. 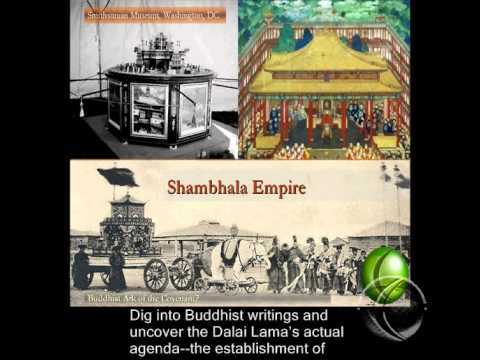 The Smithsonian catalog in 26 pages did much to promote Tibetan Buddhism, religious art, nuns, and the spread of the Buddhist Dharma (teaching) groups in the West. This is tantamount to a State Church being given financing. As Christians we believe that God loves the Tibetan people whom He created as equals, but He also detests all idolatry. 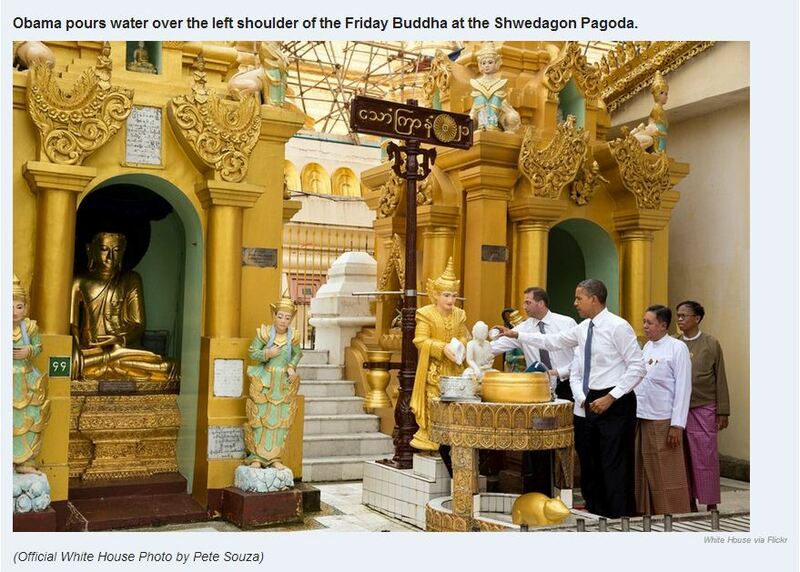 Our nation was not founded on Buddhist principals, it was founded on Judaic-Christian principals. Even though many may contend we live in a post-Christian society which is their right to proclaim, it is our undying commitment that we must continue to call our nation back to its “original foundations”, while still repenting for our historic failings, e.g., mistreatment of First Nations, African Americans, and allowing the detestable practices of secret societies such as Freemasonry and Skull and Bones (John Kerry and President Bush are members). A call to return the skull and bones of Geronimo from your shameful men’s club. For President Obama to issue a formal apology for insulting the First Nation’s Hero Geronimo in the latest capture and killing of Osama bin Laden. For a restitution of all the 200,000 First Nation bodies held without rest in the Nation’s capitol to be returned to their tribes for proper burial. For National and Denominational repentance for the shameful covenant breaking of the American Government and complicity of American Christian denominations in the abusive boarding school systems. (II Chronicles 7:12-22). Wednesday, July 6 through Friday, July 8. PREPARATORY TIBETAN EARTH RITUALS Washington, DC. The master builder of the Kalachakra sand mandala may very well be the same one who lives in Madison, Wisconsin who built the Kalachakra mandala there thirty years ago in July 1981 and then also in Tower One of the WTC in New York,City. 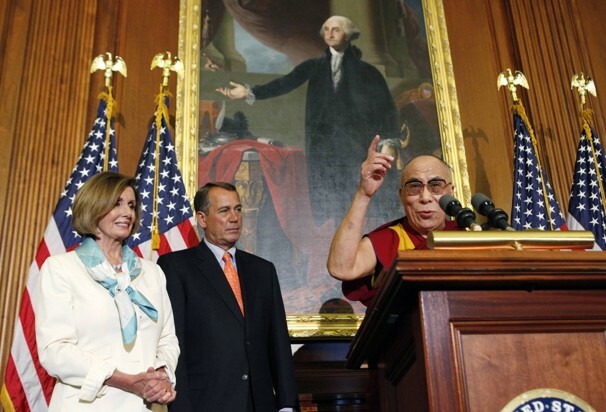 Here is the link to a map of sites in Washington, DC that have been influenced by Tibetan Buddhism. A sand mandala is a ritual altar. Because Buddhists are well known for their “proscription against blood sacrifices of any kind, let alone human sacrifice,” modern Tibetan Buddhists may be shocked that their “own well-known liberation rite is, in one of its earliest forms at least, a rite of human sacrifice.” Excerpts from A Buddhist Manual for Human Sacrifice; Appendix C: Dunhuang Liberation Rite II, Translation of PT840/1. Excerpts from The Taming of the Demons—Violence and Liberation in Tibetan Buddhism by Jacob Dalton. Three Dimensional Mandala in the Potala Palace, Lhasa Tibet. After the tantra masters demonstration of power, he sits down in the center of the mandala space, faces the East and says , “I shall build on this place a mandala in the manner I have imagined it.” This is his act of territorial occupation. O, YHWH, All Principalities & Powers flee at YOUR PRESENCE. Release the Fear of the YHWH on this nation that they may know that YOU are ALONE worthy of Praise, Adoration, and worship. Courage. O, YESHUA, Take the veil off the eyes of the American people and the church. Awaken us to the depth of our own sin and our complicity with the government. Forgive us for our sins of greed, ignorance, willful disobedience, lust of the eyes, lust of the flesh, & the pride of life. Give us courage (II Chronicles 20:12). There is only one who is worthy of being called HOLY, that is YHWH (GOD), OUR KING YESHUA HA’MOSHIACH (Jesus Christ of Nazareth, KING of Kings), and the RUACH HAKODESH (HOLY SPIRIT). O LORD, we call out for YOUR HOLY SPIRIT’s conviction of all pastors, educators and government officials in Seattle, Sun Valley, Los Angeles, Toronto, Mexico City, Irvine, Pasadena, Portland, San Diego, Tucson, Dallas-Fort Worth, Atlanta, Boston, New York, Chicago, Minneapolis-St. Paul, (and unnamed cities) and many universities, whose leader’s silence allowed the busing in of countless youth groups to see and hear the Dalai Lama’s false teachings in unlawful assemblies across the nation in direct violation of the doctrine of separation of Church and State. Where were those fierce shepherds protecting their flock? Pray that Christians would be alerted to the dangers of idolatry disguised in the arts and be educated to address it wisely. Conviction of the Tibetan Buddhists for their defilement of our land through the burial of 253 vile Tantric vases in our state capitols, major lakes, rivers, national parks and sacred places. (Leviticus 18:24-30. Take authority over your city, state and country, close the gates. Pray that deception is revealed (Ephesians 1:18-23). Worldviews 101 Dalai Lama playlist. For a more thorough understanding of the comprehensive influence of Tibetan Buddhism in the United States, see the following playlist of 17 videos.